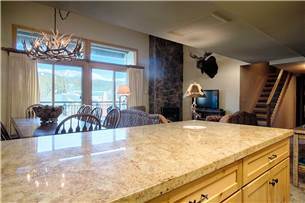 Ski-in/ski-out penthouse, stunning views, 2 blocks from Main St! 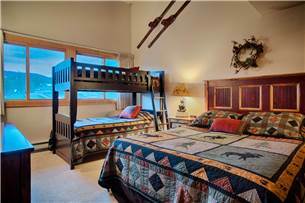 This penthouse level four bedroom plus loft is superbly located just steps from the Quicksilver Superchair at the base of Peak 9. 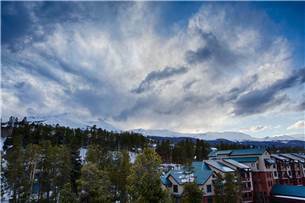 The Main Street of historic Breckenridge is just two blocks away. 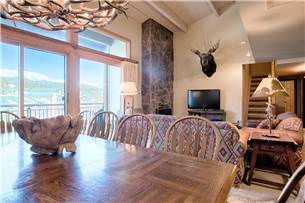 The balcony offers stunning views of the entire Ten Mile mountain range. 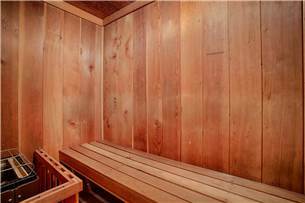 Some of the fine amenities include a gas burning fireplace, vaulted ceiling, and a solid oak dining table with seating for 10 people. 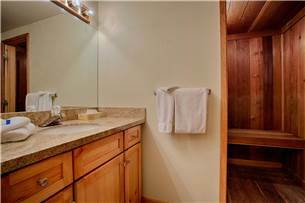 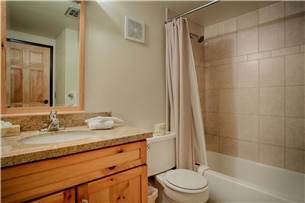 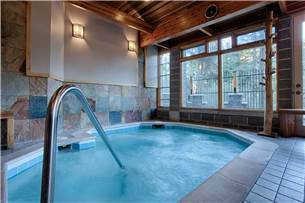 After a day of skiing or shopping, relax in your own private sauna or the jetted tub. 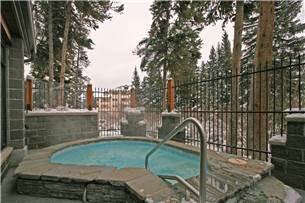 Indoor/outdoor hot tubs and saunas are located on-site. 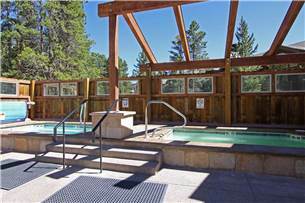 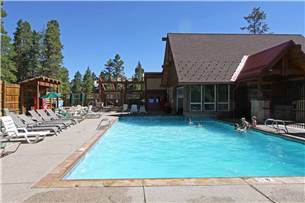 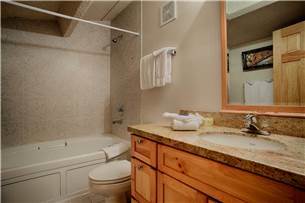 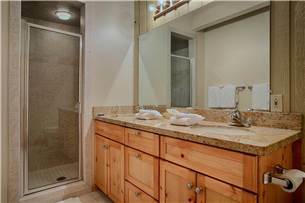 Or walk across the street to access an indoor/outdoor pool, indoor hot tub, and two large outdoor hot tubs. 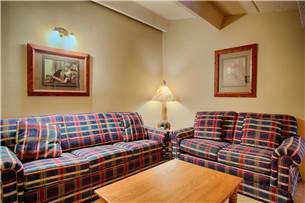 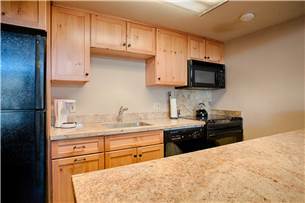 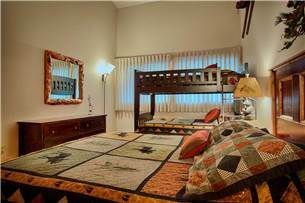 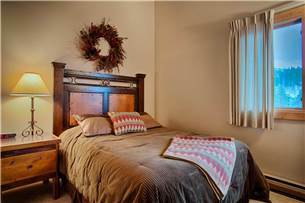 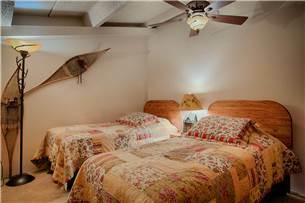 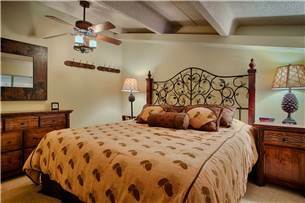 Free Wi-Fi, a coveted garage parking spot, and laundry access are also included wiht your stay in this deluxe property at Trails End.